﻿﻿﻿﻿ You know the idiom - Give 'em an inch and they'll take a mile? 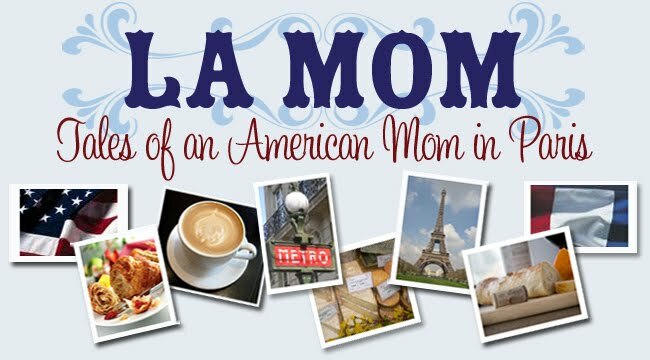 In La Mom's case, when you give Paris Mom a centimeter, she takes a kilometer. Paris Mom: U go wees ze French Fries 2 ze parc today? La Mom: Oui. Around 3:30. La Mom: Great. C U there. At le parc, Paris Mom takes her kilometer. Paris Mom: Bonjour! (Insert French double air kiss). So I peek 'eem up at seex o'clock? We're going home at 5:30. Paris Mom: Guillaume, do you want to go 'ome wees Big Fry? Paris Mom: Big Fry ees going to take a shower when 'e gets 'ome. You can play in eez room. Or you can take a shower too? La Mom to self: ? Paris Mom: So I peek eem up at 7:00? La Mom to self: How did 5:30 go to 7:00? La Mom: Baaa, baaa, oui. The French Fries will have dinner then. Paris Mom: Guillaume, do you want to stay for ze deener? Guillaume & Big Fry: Trop cool! Paris Mom: I peek eem up at 7:30. A toute à l'heure! La Mom to self: Don't I get a 'Merci' at least? La Mom is finally on Facebook. Check it out! The only reason people do this kind of thing to you is because they think they can get away with it! And it happens everywhere, not only in Paris! @Paris Paul and the seven other women who left comments : La Mom is a dork and accidentally deleted them instead of publishing them! Thanks for your comment love and advice! Classique! I sometimes wish I had nerve like that! That could just as easily happen here in the US I think. You're kidding, right? I'm sorry La Mom but Paris Mom is really annoying. How does 'let's play in zee parc' go to 'feed, entertain and bathe my children' !?!?!?!?!!?!? @Sara @Maria @Tess @Sweet Freak @MademoisElla @Virginia - I was manipulated without even realizing it and it won't happen again. Wish I had nerve like that (just a little bit). @Beadboard - I was taken to the cleaners and cleaned at 60°C INTENSIF! @Montreal Mom - I was so shocked, and I like this mom, that I didn't say anything! I won't let her take advantage of me again! Thanks for stopping by the blog. How clever was she ... what a shame that we are too polite to do the same thing back! Beautiful post! @la la Lovely and @Sharon - I'm too nice, unfortunately. Even though I've improved so much at telling off Frenchies in rude situations (mostly customer-service ones), I still don't know how to stick up for myself. Story of my life. J'ai terriblement honte que cette femme soit Française. Personnellement je suis très choquée, et je n'ai jamais vu ce type de comportement autour de moi en France.